Do you want cash for your Santa Paula house or do you need to sell your house fast? If so, you’ve come to the right place, because we buy houses in Santa Paula. We are local home buyers located right here in Ventura County. Dream Home Property Solutions, LLC has an A+ rating with the Better Business Bureau and is a member of the Camarillo Chamber of Commerce. When you sell your house directly to us, we will buy it as-is. There is no need for you to clean the house or make any renovations or repairs. In fact, you can leave anything in the home that you don’t want to take with you. We will buy your house in any condition and handle the rest. We want to buy your Santa Paula house directly from you, so that means you will not have to pay realtor commissions and can save that 6% and put it in your pocket. When you list your house with a realtor, besides the costs to do so, you never know how long it will take to sell. Even if you are trying to sell your house in a sellers’ market, potential buyers can walk away at any time or be denied financing from the bank at the last minute. Although some traditional sales go through without a hitch, if you are looking to sell your house fast for cash, that may not be your best alternative. At Dream home Property Solutions, LLC, our goal is to help Ventura County residents with any and all of their real estate needs. If you are looking to sell your home, we want to make it as quick and easy for you as possible. Since we buy houses for cash, we do not have to rely on banks to obtain financing. That means that you can avoid the hassle of working with realtors and repairing “safety issues” in order for a bank to lend on your property. In fact, you can sell your house directly to us with 3 simple steps. Submit information about your house – The first step in the process is for us to find out some information about the property that you are looking to sell. You can do this by either filling out the form at the top of the page, sending us an email to Info@DreamHomePS.com, or by giving us a call at 805-250-8335. Once we receive your information, we will get back to you within 24-48 hours. Schedule a viewing of the home – In order for us to give you the most accurate offer possible, we like to schedule a walk-through of the property. Depending on if the home is occupied or vacant, we will be happy to either meet you at the house or perform the walk-through on our own. We will then verify the condition of the property and check for any repairs that might be needed. Some people ask us to make a blind offer over the phone, which we are willing to do, but in those cases we have to assume the house is in the worst possible condition. More often than not it means that our blind offer will be a lot lower than if we are able to view the property. Submit our offer – After viewing your property, we will go back to our office and start putting together a cash offer to present to you. In most cases, we actually present more than one offer, so that you can pick the one that best fits your unique situation. When you accept our offer, we can then close in as little as 10 days, or on your timeline. There is never any hassle or obligation to accept our offer. If you don’t think our offer is what you are looking for, we will gladly shake hands and go our separate ways. We understand that real estate problems come in all shapes and sizes. We also know that there are a lot of would-be “house buyers” who will waste your time and never close on your house. If you are a looking for a legitimate “we buy houses” company, there is no better choice than Dream Home Property Solutions, LLC. 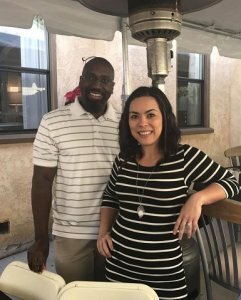 We are a local company located in Ventura County, so you will be working directly with Co-owners Ainslee and Cornelius Charles. We are not one of those national companies who just takes your information and then sells the “lead” to other investors. Since we work and reside in Ventura County, we take pride in working with our clients and trying to provide them with the best experience possible. To get the process started, or even if you just have questions about Ventura County real estate, contact us today at 805-250-8335. The call is completely confidential and hassle free. If you prefer to submit your information electronically, there’s always our email address Info@DreamHomePS.com or the form at the top of the page.